Death of Fr. Vincent Kavanagh C.Ss.R., member of Esker Community. The death has occurred of Fr. Vincent Kavanagh C.Ss.R. peacefully, at Flannery’s Nursing Home, Abbeyknockmoy on Friday 15th May 2015. Deeply regretted by his sister Eileen, his brothers Tom and Liam, (predeceased by his brother John,his sister Marjorie and Jim Dunne his brother in law) , sisters in law, nieces and nephews, his Redemptorist Community and the multitude touched and inspired by his ministry. Arrival at Esker Redemptorist Monastery Monday 18th at 14:00. Funeral mass in Esker Church today, Tuesday 19th, at 12:00 noon. Burial afterwards in the community cemetery. May he Rest in Peace. Mother of Perpetual Help, Pray for us. Fr Vincent after his Ordination to the Priesthood in Cluain Mhuire, Galway, he became Socius or assistant to the Novice Master in Esker, Fr. Johnny McDonnell. In the middle sixties, he worked for a time in St. Clement’s Retreat House in Belfast, and then began the retreat house in Cluain Mhuire in Galway. Later, he moved to Limerick, where he worked first in the Retreat House there, and then later in Mount St. Alphonsus. This was where he began his great work of developing the Novena to the Mother of Perpetual Help, from what was then a small event to what soon became a major annual event each June, attracting over 10,000 each day. This has continued until the present day, and Clonard Novena likewise grew immensely and remains so. Over quite a number of years, Fr. Vincent and the ‘Novena Team’ travelled the length and breadth of Ireland, holding this 9-day ‘Festivals of Faith’ as Fr. Vincent called them. Also while in Limerick, Fr. Vincent put great energy into what is known now as ‘The Poor Campaign’, which helped many thousands, during the year but especially at Christmas time. This same ‘Poor Campaign’ continues in Limerick to this day. From www.redemptorists.ie website: The death has occurred, Friday May 15th 2015, of Fr. Vincent Kavanagh, a much-loved and esteemed member of our Esker Community. He had been in Flannery’s Nursing Home, Abbeyknockmoy, since last November, and although quite poorly, his death last evening, around 9pm, was unexpected. May he rest in peace. Fr. Vincent was a native of Arklow in County Wicklow. After his Ordination to the Priesthood in Cluain Mhuire, Galway, he became Socius or assistant to the Novice Master in Esker, Fr. Johnny McDonnell. 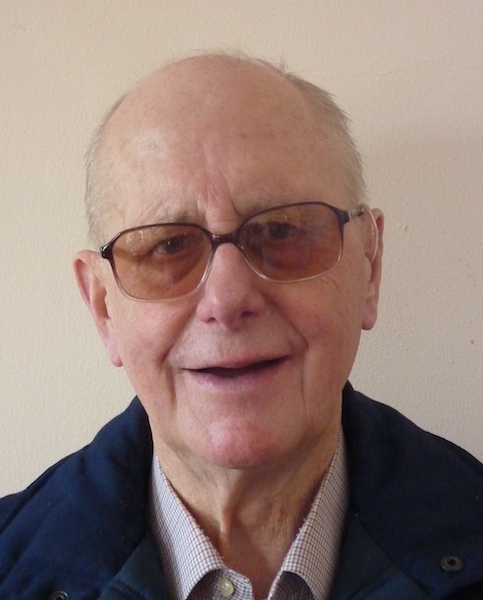 In the middle sixties, he worked for a time in St. Clement’s Retreat House in Belfast, and then began the retreat house in Cluain Mhuire in Galway. Later, he moved to Limerick, where he worked first in the Retreat House there, and then later in Mount St. Alphonsus. This was where he began his great work of developing the Novena to the Mother of Perpetual Help, from what was then a small event to what soon became a major annual event each June, attracting over 10,000 each day. This has continued until the present day, and Clonard Novena likewise grew immensely and remains so. Over quite a number of years, Fr. Vincent and the ‘Novena Team’ travelled the length and breadth of Ireland, holding this 9-day ‘Festivals of Faith’ as Fr. Vinnie called them. Also while in Limerick, Fr. Vinnie put great energy into what is known now as ‘The Poor Campaign’, which helped many thousands, during the year but especially at Christmas time. This same ‘Poor Campaign’ continues in Limerick to this day. For the past twenty years of so, Fr. Vincent has been part of Esker, putting great energy into different projects. He had a great love for the annual celebration at St. Dominic’s Well, a custom going back centuries. As well as much other work, Fr. Vincent went to great lengths to develop the Esker Youth Village, and also the Esker Pitch and Putt course. This Youth Village hosts thousands of young people every year, and the facilities that are there are wonderful, and much loved by the young. Fr. Vinnie, as we called him, was in failing health for the past three years or more, both physically, and later mentally. Life was difficult for him since his stroke of late last year, and he was wonderfully cared for in Flannery’s Nursing Home by the staff there. We are most grateful to them for that care. His remains will arrive here in Esker on this coming Monday, May 18th, at 2pm, where he will repose in the Monastery. At 7.30pm, his remains will be brought to the Esker Church, and his Funeral Mass will take place here at 12 noon on Tuesday. Ar dheis Dé go raibh a anam dílis!. May the Mother of Perpetual Help, whose devotion he so fostered, give him a great Céad Míle Fáilte! Click here to read more about Fr. Vinnie, from an international Redemptorist website, about his work to increase devotion to the Mother of Perpetual Help. 10 Responses to Death of Fr. Vincent Kavanagh C.Ss.R., member of Esker Community. Our annual family holidays in Salthill were always much enhanced by a visit from Fr. Kavanagh. We would go fishing, we would also visit him in Esker for a game of pitch and putt, these are treasured memories of my holidays in the west. He also concelebrated at our wedding. May he enjoy peace,perfect peace and may God comfort and console us as we mourn his passing. Your loving friends. R.I.P Fr. Vincent. Forever in our thoughts and prayers. You were one of the best and no doubt you are enjoying and reaping the reward of eternal happiness. Mary Our Mother of Perpetual Help no doubt has welcomed you with open arms. We have great memories of Fr Vincent. He founded the Concord Social Club in Limk in 1970. Where Deirdre and I p met.He married us in the Redemptorist Church in 1974, the last wedding there, and also baptised our three children. May he rest in peace. It is a comfort to know Our Lady of Perpetual Help received him into her heavenly home in the lovely month of May. I know he will help us all from above. A wonderful priest and a loyal friend. May he rest in peace with a life well lived having not only spread the gospel but lived it out in every aspect. A true friend and gentleman a shining example of a redemptorist with his awe inspiring sermons and mass celebrations. He was a peace maker and extended the hand of love and friendship to all. It has been a pleasure knowing him and while there will be a huge void in our lives without him we can cling to the lovely happy memories of him. Fr. Vinnie was the old-style Redemptorist: kind, affirming, pious, and humble, yet not afraid to preach the Gospel of Christ and the teaching of His Holy Church in season and out of season, never playing to the gallery or riding the waves of popular culture. Present-day Redemptorists, take note! Dear Lord, thank you so much for the gift of his life! May he find JOY and PEACE and true HAPPINESS in your Presence. Close to Mary, our Mother of Perpetual Help! A wonderful, kindly and charitable man. It was indeed our good fortune to have known him. Cormac and Lily.